REDUCED Price!! $200K below same model sold in Oct. Enjoy this nice single-story home with a desirable floor plan, 3-car garage has corner lot w views of Pleasanton Ridge. Located in Pleasanton's sought-after Ventana Hills neighborhood, it's walking distance to Mission Hills Park and downtown. This home w nice vaulted ceiling upon entry & plenty of light. It has gorgeous hardwood floors, formal living room w French door to backyard, plus a separate family room w gas-start wood-burning fireplace. The kitchen has custom granite counters and stainless steel appliances and also includes a wine refrigerator. You'll love the large master bedroom w French door opening to the backyard. Bathrooms updated w new sinks & faucets. Nice size indoor laundry w large sink & cabinet storage. Relax in the newly re-plastered pool w spa & take pleasure in the lovely view of Pleasanton Ridge! Location, Location, Location. 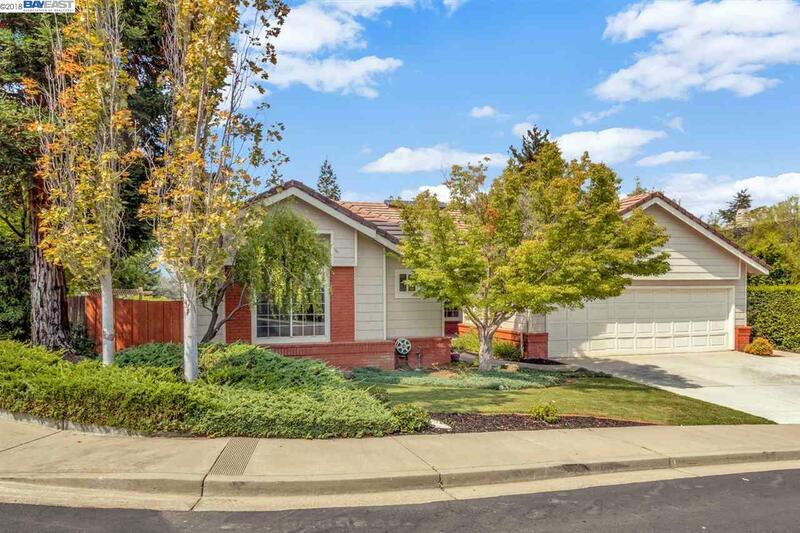 Easy access to 680 freeway, shopping, great schools, park and downtown Pleasanton.